Pickup trucks are the most commonly loaded vehicle for home owners. 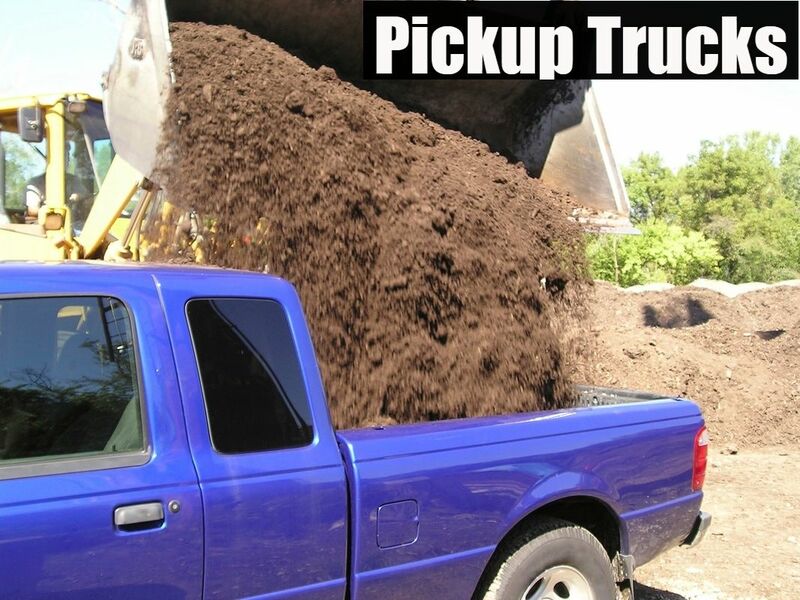 Most pickup trucks can hold up to 1.25 tons of weighted product and 2 cubic yards of mulch (this greatly depends on the size of the pickup). 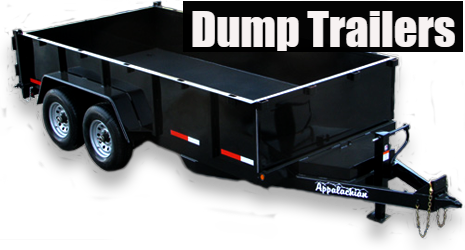 These dump trucks are another common way we load on-site. On average, these dump trucks will hold 1 - 9 tons of weighted product and 1 - 10 yards of mulch (this greatly depends on the size of the truck). 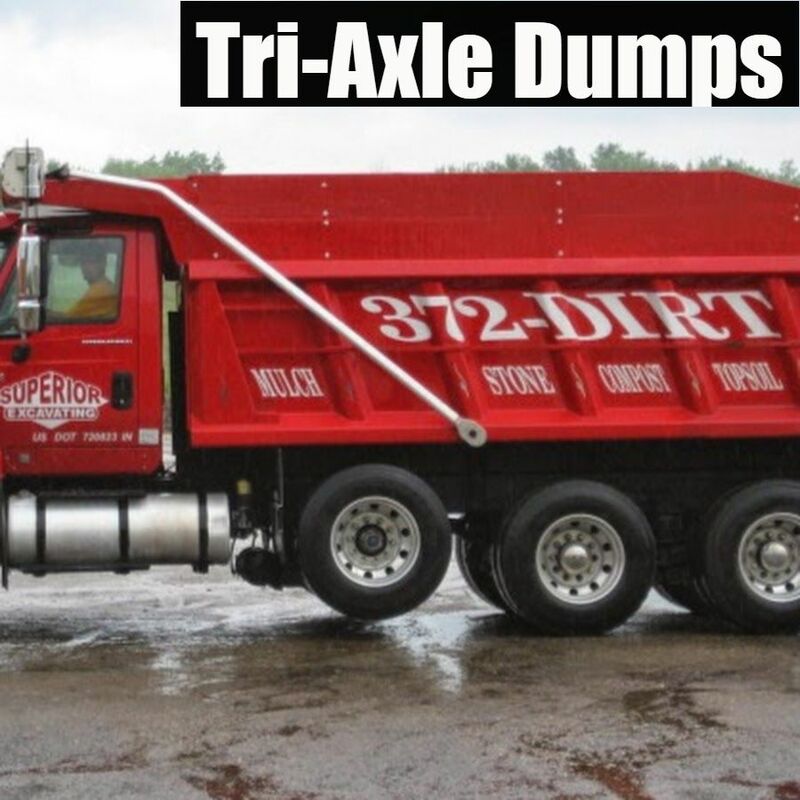 Tri-axle dump trucks require our big loaders. But if you bring it, we'll load it! 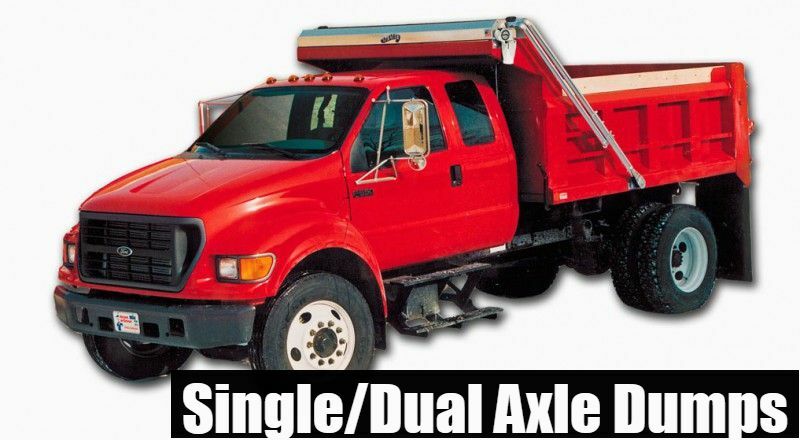 These trucks can typically hold anywhere from 7 - 21 tons of weighted product or 8 - 24 yards of mulch.